Multi-technology smart card where the move to advanced, more secure technology is desired. 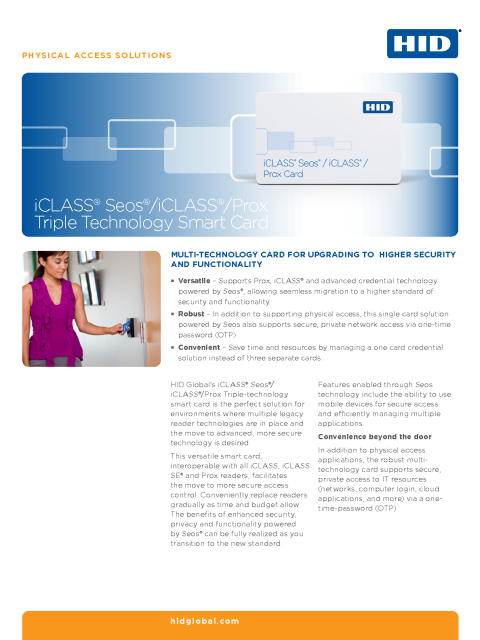 HID Global’s multi-technology smart card is the perfect solution for environments where multiple legacy reader technologies are in place and the move to advanced, more secure technology is desired. 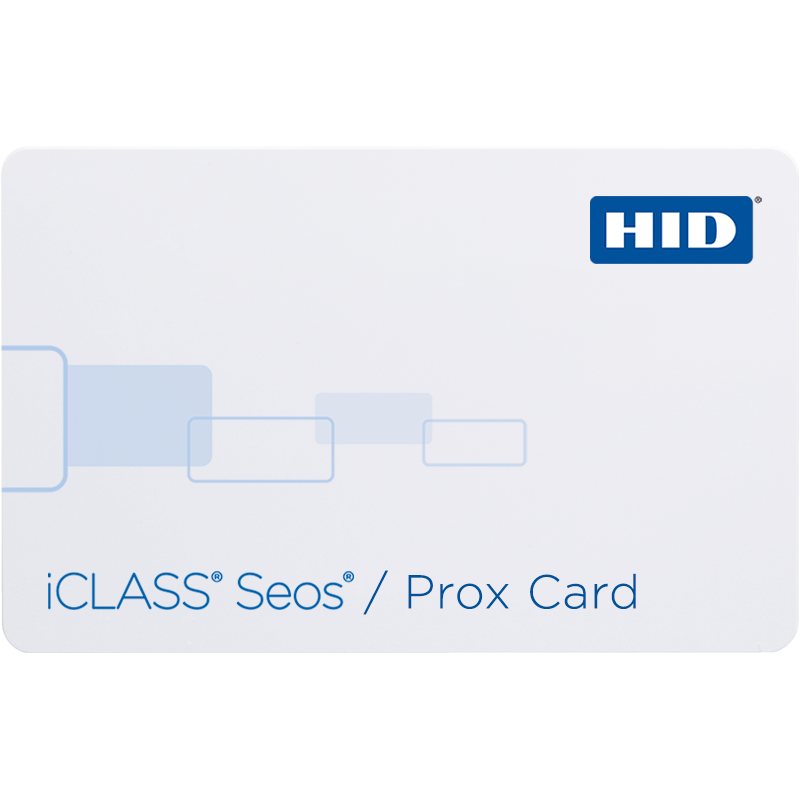 This versatile smart card, interoperable with all iCLASS, iCLASS SE® and Prox readers, facilitates the move to more secure access control. Conveniently replace readers gradually as time and budget allow. Once the transition is complete, the benefits of enhanced security, privacy and functionality powered by Seos® can be fully realized. Features enabled through advanced technology include secure access via mobile device and the ability to efficiently manage multiple applications. In addition to physical access applications, this multi-technology card supports secure, private network access via one-time-password (OTP). Offer convenience beyond the door with this robust access control solution. Versatile: Supports three technologies including Prox, iCLASS® and advanced credential technology powered by Seos®, allowing seamless migration to a higher standard of security and functionality. Robust: In addition to supporting physical access, this single card solution powered by Seos® also supports secure, private network access via one-time password (OTP). Convenient: Save time and resources by managing a one card credential solution instead of three separate cards.